There is a loving intelligence at the core of your being that can lead you to the fulfillment of your highest destiny. Four words hold the secret to accessing it: whatever arises, love that. 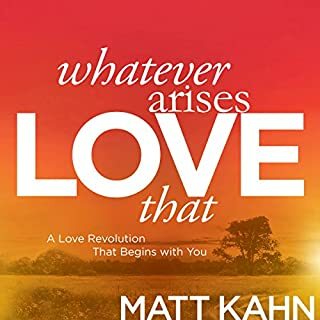 With Whatever Arises, Love That, Matt Kahn presents an unabridged reading of his life-changing book, offering you a series of deeply healing insights and practices to ignite the spark of your highest potential. 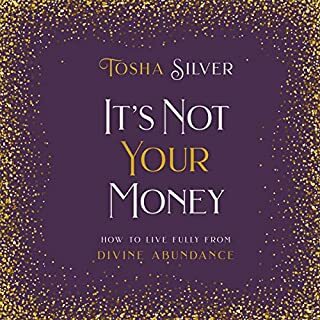 Tosha Silver, internationally beloved spiritual guide, has created a practical and powerful financial audiobook unlike any other. Leading you through a deeply transformative eight-week process, she shares the mental, emotional, and spiritual steps that anyone can take to learn to fully receive and prosper. Her step-by-step guidance is filled with prayers, meditations, and stories to help you find and heal the source of these fears and unworthiness. Great book, read by author! 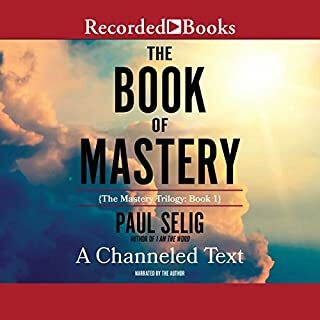 The channeled literature of Paul Selig - who receives clairaudient dictation from unseen intellects called the Guides - has quickly become the most important and celebrated expression of channeling since A Course in Miracles rose to prominence in the 1970s. Selig's three previous books - I Am the Word, The Book of Love and Creation, and The Book of Knowing and Worth - have won a growing following around the world for their depth, intimacy, and psychological insight. The Book of Mastery provides a deeply practical prescription for heightening your abilities, aptitudes, and sense of personal excellence. Ten renowned teachers and Hay House authors offer practical advice and inspirational teachings to hone and develop your psychic tools. In Waking Up, Volume 2, Sounds True publisher and founder Tami Simon speaks with seven teachers about their personal understandings of spiritual awakening - how it takes place, what changes (and what doesn't), and how their experiences can inspire and inform our own realizations. sounds true has again conducted great interviews. "So many of us hold a deep belief that we were born unworthy," reflects Adyashanti, "inadequate, unlovable, and alone." But what if, in truth, we weren't put here to pay penance, change our karma, or "fix" ourselves? What if we chose to be here because we so loved the world that we poured ourselves into it - to make it whole again, to restore "the hidden divinity amid the disaster"? With Healing the Core Wound of Unworthiness, we're invited to entertain that possibility. In Waking Up, Volume 1, Sounds True publisher and founder Tami Simon speaks with seven teachers about their personal understandings of spiritual awakening - how it takes place, what changes (and what doesn't), and how their experiences can inspire and inform our own realizations. From the introduction, by Jesus, "What I have come to teach now is that you can embody love, as I did. You can become Christ within this human life and learn to embody all that is good within you. I came to show you the beauty of your own soul and what is possible as a human. I came to show you that it is possible to be both human and divine, to be love incarnate. You are equally both. You walk with one foot in the world of form and another in the formless. To be honest, I was taken by surprise. Beneath all our bustling thoughts and the distracting dramas of the world, an ever-present stillness beckons us to our true home. "Meditation is a tool for returning to our essential nature," says Adyashanti. With Guided Meditations, this groundbreaking spiritual teacher offers four immersive audio sessions of meditations created to enrich your practice and help you become a more open, loving, and benevolent presence in the world. 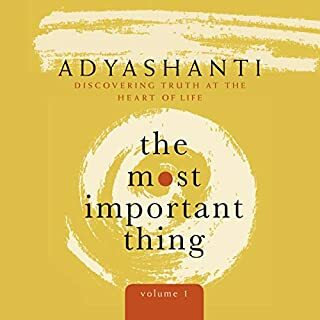 This audiobook finally got meditating! Transform your life with this revolutionary and accessible seven-step guide - grounded in energy medicine, neurobiology, and quantum physics - to awaken your true health and potential through energy healing. A declaration of your sovereign divinity, The Sophia Code is a visionary, sacred text for the Divine Feminine Christ movement sweeping the planet now. This book is a living transmission encoded with direct revelations to activate your important role as a revolutionary wayshower for humanity's awakening. "In a Universe of Endless Questions, Love Is the Only Answer." There is a loving intelligence at the core of your being that can lead you to the fulfillment of your highest destiny. Four words hold the secret to accessing it: Whatever arises, love that. 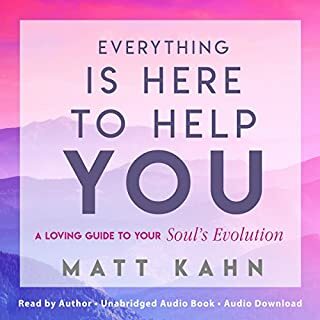 With his first full-length audio-learning course, Matt Kahn invites you to join him for a 12-part journey that explores how profoundly your life transforms when you surrender to the love of your true divine nature. Whatever Arises, Love That brings you the most powerful insights for the evolution of your journey. Kahn says of this exciting work, "Since receiving the insights to offer loving what arises as the foundational core of my teachings, I began to see people at every level of spiritual development heal old wounds, release lingering conditioning, and unravel so much fear, frustration, and confusion to reveal the Truth of their eternal nature in the most direct and heart-centered way. Soon, a 'Love Revolution' was created on a global scale, where personal differences were set aside to unite families, neighbors, communities, and countries in the importance of awakening unconditional love for the well-being of all." Whatever Arises, Love That gives you the opportunity to reconnect with your heart's innate wisdom, reclaim your lost innocence, and realize the incredible power you have by remembering that you always deserve "more love, not less". Lifechanger. Love your way back to life. This book is it. Absolutely lifechanging. My seeking is over and my healing has reached the tipping point where it is about to spill into the world as an explosion of love. I have been on a long spiritual journey that lead to the study of surrender, letting go or what the buddhists call non-dualistic release of karma. This book explains these things and more in such simplistic terms that there is no longer any need of other teachings. Love truly is the ultimate truth... this is obvious... but no one has said it so profoundly and yet simply before now. Love yourself back to life by reading this book. As one other reviewer put it, the first part of the book may cause you to not continue listening. Keep going, though as there is great depth and knowledge in this book. 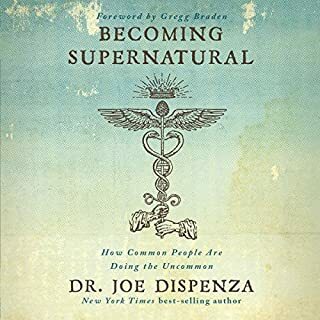 This was my introduction to Matt and it is very interesting as it pulls insight from all the spiritual traditions and combines them into a solid foundation with a different, profound twist. Good stuff. The most I can say of this book is that having just completed it, I'm immediately listening to it again :) Yes - it's that valuable. This book is deeply transformative. i had many shifts, realizations and transformative experiences as i was listening to it. it is read by the author, which makes it powerful. 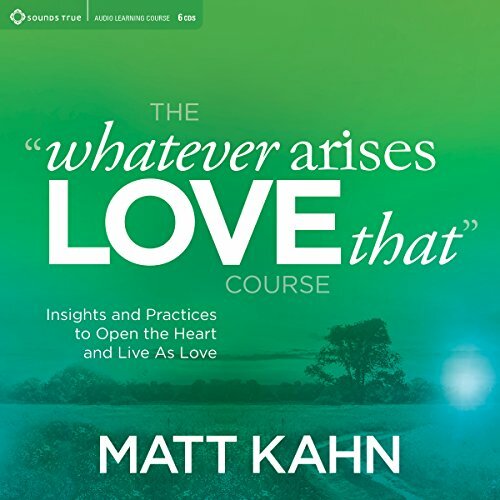 Matt Kahn is one of the few spiritual teachers who i feel speaks from an enlightened perspective. i am very drawn to this type of non-judgemental and love focused material. i would listen to any book he publishes. thank ypu for all the wisdom that is shared in here. it is helping me to awaken to more love which is priceless. Everyone should listen to this. He speaks directly to the heart in a deep and profound way. One of the most important books/messages I've ever come across. Matt Kahn is a pleasure to listen to and a very wise soul. I love it! I own the hard copy and audio versions. I stumbled upon this awesome creation at barnes and nobles while looking at some finding my soulmate books. This has been such a gift, to myself, and finally feel understood and everything Matt talks about is as if I were having a direct conversation with him. Thank you for all you do. Thanks to everyone...much love! I love Matt, he's my go-to spiritual guide! Loved evolving to loving the content. Living and feeling it at all times is an impossibly evolving amusing movie. Not so serious anymore or judging. Love more, not less, and fall asleep via Matt's voice is a gift. What made the experience of listening to The 'Whatever Arises, Love That' Course the most enjoyable? What about Matt Kahn’s performance did you like? For me, Matts truth resonates at a vibration that feels like understanding. Very welcomed indeed! Thanks Matt Kahn! This is a wonderful course which I am sure I am going to listen to over and over. I could feel my body and heart relaxing just listening to your voice. Gratitude and love. top 5 books ever listened to. absolutely loved it and will definitely listen to it again. narrator way easy to listen to and opened my mind to a new perspective. good affirmations and he shared his own personal journey too.